How’s your beard looking? Is it a little scraggly? Maybe having a hard time growing? As a beard grower, it’s important that your facial hair looks full, strong, and healthy no matter what. But, what’s worse than having your facial hair suffer from lack of necessary beard oils to help sustain it. Below, are our top-rated natural oils that you should use on your facial furniture to help it grow and stay strong throughout the year. Black seed oil use goes all the way to the Middle East and Ancient Egypt. This natural oil is incredibly powerful and can help nourish and strengthen both your hair and skin to help fight against dryness, such as dandruff. If you find your beard is dry or brittle during the day, you should try applying black seed oil to help maintain it. Prickly pear seed oil, otherwise known cactus oil is sourced from Morocco and can help moisturize dry, irritable skin. The oil contains a large amount of linoleic acid, which is a fatty acid that helps improve healthy cell production and prevent hair breakage. Cactus oil is additionally great for conditioning beards and offering protection from outdoor elements, whether it be heat, rain, or wind. Castor oil dates back to Ancient Egypt as a natural skin conditioner, due to its heavy content of salts, linoleic acids, and esters. However, it’s also great for growing and improving the thickness of hair, in addition to adding texture and composition to beards. This is thanks to castor oil’s properties that allows for better circulation to whichever area you apply it to. Cedar oil is similar to black seed oil in the sense that it’s an essential oil. It originates from the Western and Southern areas of Saudi Arabia. Additionally, this oil is commonly used in the medical industry as medicine. This oil is most popular for reducing the risk of hair loss and increasing circulation in hair follicles, promoting hair growth. However, it’s also a natural anti-fungal and pesticide, which helps kill off fungal infections, many of which cause hair loss. Moroccan Argan oil is also known as liquid cold and comes from the Argan Tree’s fruits. However, the use of this oil dates back to 600 B.C. It is well known to increase cell production, leading to healthier and stronger hair, due to its high concentration of antioxidants, linoleic acid, fatty acids, and vitamins A, C, and E. Due to this, it also makes for a great beard oil for people who experience patchy spots in their facial hair. Frankincense, otherwise known as olibanum oil, is yet another great essential oil that’s great for your beard health. It comes from Boswellia trees and its oil is well-known to help moisturize hair follicles and prevent hair loss. Additionally, it’s also commonly known to help treat ingrown hairs and moisturize skin. Nevertheless, these uses make it the perfect natural beard oil, if you’re having trouble with yours or if you’re looking for a tool to help keep it moisturized throughout the day. Tragacanth oil is popular in Saudi Arabia and is grown in Iraq and Syria, but dates back hundreds of years for its use. It’s most commonly used to help combat hair loss, but it also acts as a strong moisturizer for beard hair. Not to mention, it also adds both volume and thickness to your facial hair and behaves like a natural shield to block external elements from achieving the perfect beard. Vitamin E oil is an essential oil that’s crucial to maintaining peak beard health. This is because vitamin E is a powerful antioxidant and packed with nutrients that are vital to growing healthy hair. It can treat your damaged or dry hair and helps strengthen your beard health. For hundreds of years, hemp oil has been used for many purposes. This wildly versatile plant holds helpful lipids that soften and condition beard hairs. Additionally, wild hemp oil contains fatty acids that help to nourish hair follicles. It does this by boosting circulation. Finally, wild hemp oil also helps to moisturize your beard and the skin underneath it. This will ensure that your hair does not become brittle and will not break off. With these essential oils, you can make sure that your beard is healthy, soft, and strong for a long time to come. Using natural methods of beard treatment is often the best way to go for many men. Soon, you will have the healthy facial hair of your dreams. 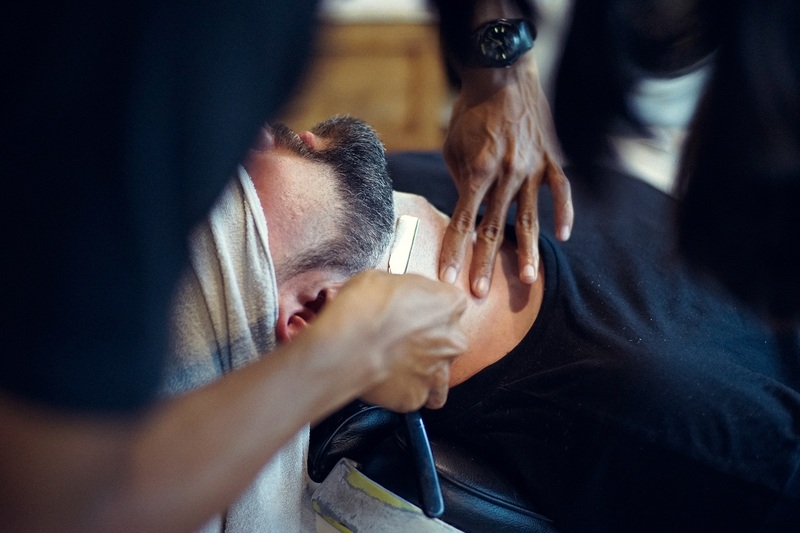 Jeffrey Arvel is a full-time barber from Portland, Oregon. Beside his daytime job, he contributes to ShavingSolution where he likes to spread his insights on how to properly maintain your skin and hair’s health. « How Bad Blood Circulation can Cause Hair Loss in Men?